Shockingly Longer than Anyone Thought! Forming a New Government is not meant to be by those referred to as Illuminati, New World Order or any persons singly or in a group who wish to control the people of United States without the agreement and support of the people of that country. Many Americans are not aware of the aggressive actions of our government again our own people for political and/or monetary gains. This includes sitting Presidents, citizens who have done nothing legally wrong - even little boys who saw too much. These actions have been carried out by the FBI, CIA and various government agencies with the authority given to them by our elected officials or those who have been appointed to positions of authority. All of the information which will be presented here is available for you to do your own research - and it would be best if you did for the salvation of our country and your loved ones. The whole that is swallowing up our country which is labeled Lies, Deceit and Corruption, has grown very large and unless you know what you are fighting against it will continue to grow. you ask "what can I do"? Get off your lazy duff and un-elect the deceivers and make sure you hold those elected accountable for their actions. That is your right and duty under the current Constitution of the United States. Those who wish to change our Constitution are standing in the wings with their proposed Constitution of States using their own authority as their "yellow brick road" to power. These individuals do not care about your country - only what they want to make it be for themselves and it will be called "POWER AND CONTROL" of YOU! Although James Buchanan, like all presidents, was subject to threats it has been assumed he passed through his one-term presidency without any attempt to assassinate him. Yet there is compelling evidence to suggest otherwise. When a group of Civil War army veterans held a reunion in 1887 one of them revealed a plot to kill Buchanan. The veteran revealed how Kansas abolitionists, believing that if Buchanan could be assassinated Kansas would fall into their hands, hired an assassin to murder the president. Buchanan’s would-be assassin arrived in the capital determined to shoot him as he strolled through the grounds of the White House. However, the plot was foiled by an informant and the assassin was arrested. Ulysses S. Grant said there had been a “deliberate attempt” on the life of President Andrew Johnson during a visit to Indianapolis. Johnson and his party, including Grant, were staying at a hotel in the city during the visit. When they gathered in one of the rooms booked for the party a shot was fired from a second-story window on the opposite side of the street from the hotel. The bullet struck a Chinese lantern near where the president was standing and passed within three feet of Grant’s head. Local law enforcement agencies made no arrests. President Chester A. Arthur was the victim of two assassination attempts. The first attempt was made at the Butler Mansion in Washington DC and the second occurred at the White House. When Arthur was staying in the Butler mansion prior to moving into the White House after President Garfield’s assassination, a “shot was fired at a reporter for the Cincinnati Enquirer who was sitting talking to Senator John P. Jones” and, “...the villain took the reporter for Arthur.” The shot came through a window but missed the target. The incident was corroborated in a statement Senator Jones gave to the Philadelphia Times many years later. The second incident which endangered Arthur shortly after he became president occurred on October 31, 1881 when a would-be assassin entered the White House armed with a pistol and attempted to see the president. Following a struggle with the doorkeepers he was subdued and arrested. Although rumors of assassination attempts were prevalent throughout Benjamin Harrison’s presidency there is compelling evidence that a serious attempt on the president’s life actually occurred in 1890 but was covered up by White House aides. A United States Senator had received letters threatening to kill President Harrison. The letters were turned over to US Secret Service Chief John S. Bell who conducted an unofficial investigation as the Secret Service, although used as a detective agency by many government departments during this period, did not have official sanction to investigate threats to the president. The letter writer was tracked down by two of Bell’s detectives to Petersburg, Virginia, and trailed to the capital. On May 23, 1890, the would-be assassin stationed himself on Pennsylvania Avenue at around 9:30 in the morning. He was approximately twenty feet away from Harrison as the president passed by in his coach. As the assassin attempted to draw his revolver he was quickly subdued by the agents. During his interrogation the assassin confessed “boldly” that he had intended to kill the president. Bell confirmed the story to newspaper reporters and “verified it in every particular.” Although the White House denied the assassination attempt, there is additional credible evidence to corroborate the information. John Schrank’s shooting of ex-President Theodore Roosevelt in 1912 is widely regarded as the only serious assassination attempt Roosevelt experienced. But there were at least two occasions when armed assassins breached Roosevelt’s security when he was president. In September 1903 Roosevelt came within a hair’s breadth of assassination when Henry Weilbrenner pointed a loaded gun at him. The incident has been reported in a number of journals and books. However, a similar incident occurred a month later after an armed man, Peter Elliott, breached the president’s security armed with a loaded pistol but was subdued by White House doormen and arrested. When Elliot’s pistol was examined it was discovered he had prepared the bullets with poison. The Secret Service concluded that the only purpose for coating the bullets in such a way was to kill the president. In Harrison’s case the president was unaware of the plot to kill him as, according to US Secret Service Chief John S. Bell, the president’s aides and political friends kept the incident from him and were sworn to secrecy. 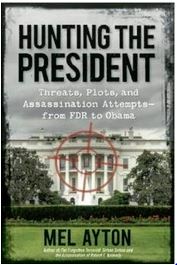 Supportive evidence of the cover-up resides in the discovery by this author that the president’s private secretary, Elijah Halford, had been economical with the truth when he told the press that the assassination story was false. In October 1903 President Theodore Roosevelt’s private secretary, William Loeb, met with Secret Service Chief John E. Wilkie. They discussed how the agency could effectively carry out its protection duties. Loeb announced his intention to suppress every fact in connection with the arrest of would-be assassins. Loeb also said he would ‘make trouble’ for any police officer or Secret Service agent who failed to observe his orders in this respect. The policy decision was extended to the Washington police force.